Welcome to NISHIO Hirokazu's homepage! Here is homepage for Japanese. 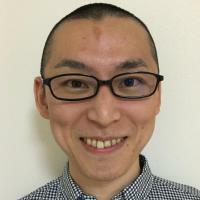 Dr. NISHIO Hirokazu is a Japanese researcher and software engineer, working in Cybozu Labs Inc. e-mail: nishio "dot" hirokazu "at" gmail "dot" com. Feel free to contact me! He received doctor of science when he was 24 years old. From 2007 he is working in Cybozu Labs and research software to enhance creativity. He also is interested in development of programming languages. He wrote "Jython Programming" and "Basic Concept of Language Design". I wrote this section for non-Japanese people. My name is "NISHIO Hirokazu" and "NISHIO" is the family name. All Japanese people say their family name first when they are speaking Japanese language, but unfortunately many people are misunderstanding that we must say given name first when we speak English. My family name "NISHIO" is made of two characters "NISHI"(west) and "O"(tail). "O" has same origin with "WO"(fish) so my ancestor might be a fisher. "NISHIO" is pronounces like "knee see awe" but shorter. My given name "Hirokazu" is made of two characters "HIRO" and "KAZU". "HIRO" is pronounced like a hero. It means "big" and "calmful". (Wiktionary). "KAZU" is pronounced like a cousin without "n". It means "peace" and "harmony". (Wiktionary). Now collecting information: see What I did, but it's not completed. NISHIO Hirokazu was born in 1981. He received B.Sc. degree from Nara Institute of Science and Technology (NAIST) in 2004. He received a degree of doctor from NAIST in 2006. [PDF] He wan been a Research Fellow of Japan Society for the Promotion of Science from 2005. His research interests include Visualization of Large-scale data obtained from biological experiments. He is a member of Information Processing Society of Japan and Japan Society of Artificial Intelligence. 1981-07-23 to now I am living in the world. 2002-11/2003-03 Information-Technoogy Promotion Agency, Japan(IPA) Exploratory Software Project (Exploratory Youth). I had a chance to drive my project on visualization of genome sequence. 2007-04 to now Cybozu Lab, Inc. Software Engineer. 2010-12 Wrote special topic "Core Concept of Languege Design" on magazine WEB+DB PRESS Vol.60 except for the foreword written by Matz. Published by Gijutsu-Hyohron Co., Ltd.
IPSJ Digital Courier FUNAI WAKATE SHOUREISHOU, FUNAI FOUNDATION FOR INFORMATION TECHNOLOGY, 2007. Ikeuchi Award, TAGBOAT SUMMER AWARD 2009, 2009-06. Excellent works, ASIAGRAPH 2009, 2009-10.